Σακίδιο Ορειβασίας Lowe Alpine Alpamayo 70:90! Ένα βραβευμένο σακίδιο σχεδιασμένο για πολυήμερες εκδρομές. 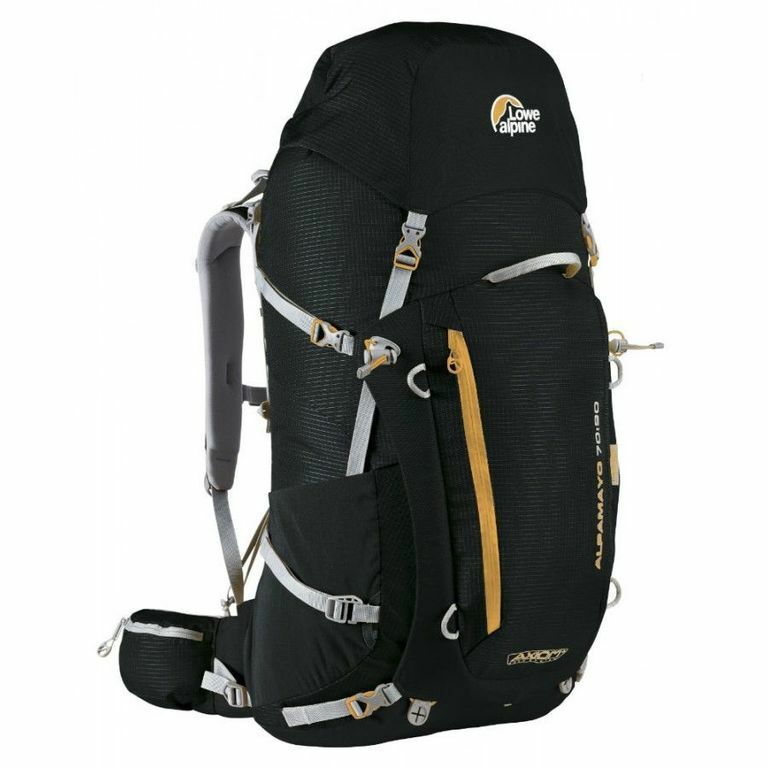 Built for the long haul, the Alpamayo is an award winning pack designed with wilderness treks and multi-day backpacking trips in mind. To make heavy loads as comfortable as possible we've designed this pack with a super lightweight, durable TriShield® Grid fabric, and introduced our unique Axiom back system which ensures a perfect fit. This firm, supportive and 100% adjustable system has a rotating hipbelt and plenty of support. With a large front entry system you can access your essentials quickly and easily, and useful features including stretch bottle pockets, removable hydration pack and unique tip grippers for securing walking poles. No matter where you're trek takes you, the Alpamayo has everything you need to explore the wildnerness.